Join Rebeard as he kicks off CoreOS Fest. etcd is a powerful and robust core component of modern infrastructures. Weave Mesh is the gossip protocol at the core of Weave Net, the battle-tested Docker SDN. This talk chronicles the implementation of etcd-on-Mesh, hosting the strongly-consistent etcd API on an eventually-consistent gossip protocol. The project enables developers to use etcd in a much wider variety of contexts than is currently assumed. For example, embedding an etcd cluster in their application and get an ephemeral lock store, or deploying a permanent etcd cluster in a heterogeneous, partially-connected network environment. In this talk, I describe the core semantics of the Raft protocol, the requirements it has for peer-to-peer communication, and how it might be usable over a packet-oriented, rather than stream-oriented, transport. (Think: UDP rather than TCP.) Then, I describe the basics of gossip protocols, how they model state transfer, and Weave Mesh's particular approach. Finally, I describe how these two models of distribution can be married together, and how each one accommodates and compensates for deficiencies in the other. etcd is an open source distributed consistent key-value store that was introduced by the team at CoreOS. Since its release two years ago it has become a mature cornerstone of a variety of systems in the container ecosystem for doing networking, service discovery, configuration management and load balancing. This talk will explore what etcd is, how it works, why it is used, and introduce etcd v3. Brandon will show how a cluster is maintained and some best practices. It will show off some example applications built on etcd such as locksmith, vulcand, Kubernetes, skydns and confd. Together, Thomas Fricke, CTO of Endocode, and Jannis Rake-Revelant, Lead IT Operations, Infrastructure and Security, immmr GmbH, will show which steps need to be performed to convert a VM-based micro-service architecture to a container-based approach on the AWS cloud using CoreOS, Docker and Kubernetes. Following an iterative proof-of-concept approach, separating persistent and stateless applications and run everything in small units orchestrated by Kubernetes we succeeded designing pods which can be rolled out easily. We could create descriptions of environments very rapidly, creating full complex systems with a single command. Examples of Java, Python and Ruby applications are shown. The presentation will focus on: VM-based vs container-based micro services and their orchestration Preparing a customer facing service to run on Kubernetes on AWS Orchestration of a container cluster infrastructure Lessons learned An CLD (continuous live deployment) chain has been implemented to roll out new versions with minimal effort. Using the latest feature of systemd on Linux on CoreOS, we could move the configuration management into the kubernetes domain. 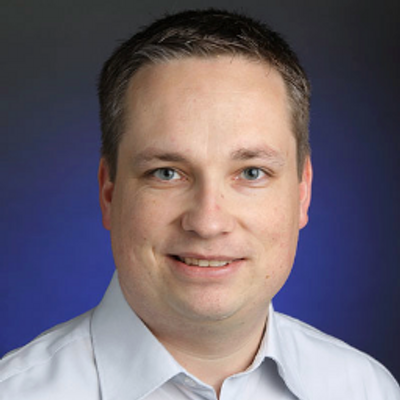 Jannis Rake-Revelant is the lead for IT Operations, Infrastructure and Security at immmr GmbH. At Improbable we’re building a platform for the next generation of Simulation, called SpatialOS. We’re hosting large scale Deployments of user Simulations inside our Clusters. Due to the real-time nature of Simulations, we needed a mechanism that would allow dynamic reconfiguration of parameters across multiple nodes of a Deployment. We leveraged etcd consistency and watch API to build a mechanism that allows developers to easily define code variables (Java annotated fields or Go flags) that change in almost real-time across hundreds of machines. While the main driver behind this highly flexible approach was our unique Simulation Runtime, the same mechanism is now powering our Platform’s operational configuration: request routing, rate limiting and experimental A-B testing. Luke will give an introduction and overview of rkt, the container runtime from CoreOS that recently hit v1.0, with a focus on its suitability for building container-based platforms. The talk will cover how to build and run networked container pods with a focus on process management, systemd and composability with other tools. Luke is a server developer working at YLD.io, a London-based software engineering consultancy, working mostly with Node.js and Docker. Luke built an open-source container-based PaaS called Paz (http://paz.sh). I have Kubernetes, now what? While etcd was born in the cloud era, it does not really play well in a dynamic environment where nodes come and go and where IP addresses are ephemeral. Moreover, etcd is meant – with its RAFT algorithm at the core – as a consistent key-value store. It rather refuses to form or join a cluster than putting consistency at risk. This talk will discuss how to make etcd more elastic in a sense that cluster join, member replacement and cluster growth is handled automatically when etcd starts up. The existing discovery service is used for this, but in contrast to the stock etcd not only during bootstrapping, but during the whole life-cycle of an etcd cluster. The ideas are implemented in the experimental elastic-etcd wrapper around etcd2. Its usage will be shown and how it behaves in certain cluster situations. In this talk, Ed Rooth, will go over how CoreOS defines #GIFEE (Google's Infrastructure for Everyone Else). He will provide an overview of Tectonic, the CoreOS + Kubernetes stack, and discuss how you too can achieve #GIFEE. Ed Rooth is the team lead for Tectonic, an enterprise-ready platform for running Linux containers in a distributed environment, at CoreOS. Outside of work, Ed is a Japanese speaking snowboarding enthusiast that enjoys keeping up with good films, great music and new technologies. rkt is a modern container runtime, built for security, efficiency, and composability. Kubernetes is a modern cluster orchestration system allowing users. Kubernetes doesn't directly execute application containers but instead delegate to a container runtime, which is integrated at the kubelet (node) level. When Kubernetes first launched, the only supported container runtime was Docker - but in recent months, we've been hard at work integrating rkt as an alternative container runtime, aka "rktnetes". The goal of "rktnetes" is to have first-class integration between rkt and the kubelet, and allow Kubernetes users to take advantage of some of rkt's unique features. This talk will describe how rkt works, some of the features that make it unique as a container runtime, and some of the process of integrating an alternative container runtime with Kubernetes, as well as the latest state of "rktnetes." Come by the CoreOS booth and get your Clair questions answered by one of our experts. At BlaBlaCar we successfully run all our services with CoreOS and rkt. To achieve this, we had find a way to build efficiently our containers. Before that we had all our infrastructure managed by Chef and we didn't want to loose the power of config management along the way. This talk will be about the path we've taken, the mistakes we've made and why we ended up coding our own building tool : dgr. Simon is a systems engineer at BlaBlaCar on the team in charge of the containers infrastructure. Simon is passionate about revolutionizing the way systems are managed to always go faster, be more reliable and scale. Culmination of hype, adoption and formal containers standards, is a lot to wade through. Hear about how standards have arrived, where they are, what the important next steps will be and how this affects you. What are your containers doing? It’s one thing to know which containers are coming and going; it’s an entirely different thing to understand how your applications, microservices, are behaving in this brave new containerized world. In this demo-driven presentation, Luca Marturana will cover the current state of the art of container and microservice monitoring, including the pros and cons of some popular approaches. Using real tools running in live environments, he will demonstrate how to effectively monitor, explore and troubleshoot production rkt deployments. The presentation will feature live interaction with container environments and live demos of all tools and techniques discussed. Special emphasis will be put on Kubernetes, the open source orchestration tool, as well as sysdig, an open source container and system troubleshooting tool developed by the presenter. Join Marta Paciorkowska, DevOps at Acrolinx, Matthew Garrett, Principal Security Engineer at CoreOS, and Meghan Schofield, Product Designer at CoreOS for an interactive conversation about how to provide more openness and inclusiveness in open source. Marta, Matthew and Meghan will share the necessity of this conversation and will help brainstorm a measurable plan to help increase diversity in open source. Come by the CoreOS booth and get your Tectonic questions answered by one of our experts. In this half hour, we'll explore the utility of manipulating and controlling images with NodeJS applications. Starting by deploying to a new Azure VM using a NodeJS built controller, we log in and study the rich development potential of NodeJS and NPM inside the new container. From there, we explore interfaces to rkt and finally consider backup and cluster scenarios built using NodeJS as well. Joey is a lead software engineer on the Quay container registry team at CoreOS. | | Before being acquired by CoreOS in Summer of 2014, Joey was cofounder of DevTable, a company he started after leaving Google to focus on building a web-based IDE. Can Kubernetes be used in a productive environment? Yes. Is Kubernetes sufficient to meet all the needs? No. This talk will introduce the problems I met when using Kubernetes to build a private platform to serve telecom applications. What if users want to have more control of how their applications are deployed? What we need to do to deploy traditional, stateful applications? Especially when some applications can’t be containerized? How to use existing modules to replace some functionalities of Kubernetes? And also, the talk will tell how these problems are solved. Come by the CoreOS booth and get your rkt (rocket) questions answered by one of our experts. Distributed systems are notoriously difficult to get right. We’re constantly improving the frameworks we use and the way we test production code, yet we rarely invest in tools for system design. The best design tools we have are still low-tech, like whiteboards and back-of-the-envelope calculations. Runway is a new tool to help design distributed and concurrent systems. It combines specification, simulation, visualization, and model checking into one tool, so you can write a single system model and do a bunch of useful things with it: the same model can help you evaluate a design’s correctness, availability, and performance while also helping others learn how the design works. Come by the CoreOS Booth and get all your Distributed Trusted Computing questions answered by one of our experts. Fleet is a distributed init system that we use to schedule both infrastructure as well as user services on our clusters. Fleet is one of the main building blocks of our architecture that we use to schedule both infrastructure as well as user services on our microservices infrastructures. Fleet has seen production use for some time and is largely considered stable. The versatility and simplicity of fleet offers a distributed orchestration system, on which services in the form of systemd units (optionally running containers), can easily be deployed on the cluster. However, fleet can run into scalability issues that grow when using it in large-scale infrastructures. In particular, we realized of these scalability issues when fleet has to coordinate many nodes and/or thousands of deployed units in a cluster. Thus, we set out to improve the scalability of this distributed init system. Through the (optional) use of gRPC for communication between the fleet nodes as well as reducing etcd load through storing transient data in-memory, we could improve fleet performance and stability significantly. This talk goes into details of our design decisions and the implementation of the performance-improving changes, which we are currently working on merging upstream. As software becomes more and more complex, we, as software developers, have been splitting up our code into smaller and smaller components. This is also true for the environment in which we run our code: going from bare metal, to VMs to the modern-day Cloud Native world of containers, schedulers and microservices. While we have figured out how to run containerized applications in the cloud using schedulers such as Kubernetes, we've yet to come up with a good solution to bridge the gap between getting your containers from your laptop to the cloud. How do we build software for containers? How do we ship containers? How do we do all of it without shooting ourselves in the foot? In this talk, we'll explore how current delivery systems are falling behind, and how we need to change the mental model, create new best-practices and treat containers as a first-class citizen. We'll be showcasing how we think about continuous delivery at Wercker in combination with Kubernetes, in this new Cloud Native paradigm. Micha “mies” Hernandez van Leuffen is a hacker entrepreneur, and the founder and CEO of Wercker. He set up Wercker in order to make developers’ lives easier by building the next generation of developer automation for the Modern Cloud. CoreOS is an excellent starting point for a secure environment, but there are many challenges to deploying and managing CoreOS under common compliance requirements. Compliance itself does not provide security, but it can present roadblocks to adopting revolutionarily awesome technology. A reduced attack surface, automatic updates, a slimmed down base OS, modern systemd and new automation tools should make a system more secure, but they also invalidate traditional approaches to compliance, and raise red flags for people unfamiliar with the technology. This talks shares our experiences and explores solutions to deploy and manage CoreOS in light of common compliance themes. The presentation will also serve as a guide to those who are leading change in their organizations and are interested in showing how CoreOS can be adopted in the face of traditional ideas about compliance. Come by the CoreOS booth and get your rkt Quay questions answered by one of our experts. Rkt is the fastest growing container engine followed the Appc spec and tight integration with Kubernetes, but it still need container registry and volume management for running. Dockyard is a registry engine supported rkt pull & push which comply app container image discovery of Appc spec and a volume management with distributed file system. Dockyard has supported Docker Registry V1 & V2 at the same time, and has converted Docker image to Appc ACI. It’s important key to reuse the ecosystem of Docker. It has vulnerability analysis used Clair and content analysis. It has multiple backend drivers support storage container images into cloud object storage like Google, Amazon and others service, and has own build-in simple object storage service with three replications written by Golang and embed C.
Software engineer working on Project Calico. Alex Pollitt is an Evangelist at Project Calico. He also heads up the Calico engineering team in our San Francisco office. Join Matthew Garrett for the next step in distributed trusted computing. This presentation will describe how the techniques used to prove hardware trustworthiness can also be used to validate containers. Learn how to secure your container infrastructure on multiple levels and produce cryptographically verifiable audit trails. Come see how we use distributed trusted computing with CoreOS Linux and in Tectonic, our commercial GIFEE offering. Come by the CoreOS booth and get your dex questions answered by one of our experts. Eric Chiang is an engineer at CoreOS, where he specializes on identity and authorization in distributed systems. He maintains several open source Go projects and packages, including dex, an OpenID Connect server, and pup, a command line HTML parser. Come by the CoreOS booth and get your etcd questions answers by our CTO, Brandon Philips. This talk will demo a prototype I've built that implements these ideas. It is written in golang, and is completely free software. This talk will feature working code and a number of live demos! The tools makes heavy use of etcd, and the talk will focus on how we embed the project and the unique way in which we use it. An introductory blog post on the subject is available. https://ttboj.wordpress.com/2016/01/18/next-generation-configuration-mgmt/ Attendees are encouraged to read it before the talk if they are interested! James is a DevOps/Config mgmt. hacker and physiologist from Montreal, Canada. | He often goes by @purpleidea on the internet, and writes "The Technical Blog of James". | He studied Physiology at university and sometimes likes to talk about cardiology. Prometheus and Kubernetes are a match made in open-source heaven. on Kubernetes and monitored with Prometheus. Fabian Reinartz is an engineer at CoreOS and one of the Prometheus core developers. | Previously, he was a production engineer at SoundCloud. It's easy to integrate tracking vulnerabilities of your containers with Clair. But what if you want to do it via your CI/CD pipelines? That's where Hyperclair comes in! Hyperclair is a lightweight REST API which acts as a bridge between Registries like Docker Hub, Docker Registry or Quay.io and CoreOS vulnerability tracker - Clair. Hyperclair could be easily integrated in your CI/CD pipeline, mapping Registry events to the REST API, which will become your authentification reverse proxy. Developing and maintaining distributed systems is difficult. We believe that the difficulties comes from lacking of a good debugger for the systems. Unlike non-distributed systems, bugs in the distributed systems are not understood well. Therefore building good debuggers is still difficult. The presenter will introduce Namazu project, an OSS framework of distributed systems fuzzing tester. Namazu focuses on two points of the systems: 1. error handling of hardware fault, and 2. non determinism of events e.g. packet arrival. They are distributed systems specific points and not covered by existing debugging techniques. The presenter will share success stories of removing bugs of real systems including etcd, Zookeeper, and Apache Yarn with Namazu. dex is CoreOS’s open source federated identity service. The Tectonic team continues to ensure dex remains a first class solution for Kubernetes Authentication and Authorization. In the near future, dex will provide not only authentication, but dynamic, fine-grained access management for multi-tenant clusters. This talk will provide an in-depth look at the work done to further dex integration with Kubernetes. Topics include upstream efforts to make Kubernetes authorization more pluggable, authorization with dex groups, and how to take advantage of both. For now flannel supports no encryption on the wire. This may be suitable whre you have a trusted internal network or in a setup where you can care for the network encryption on the application level via tls. In this talk Cornelius will demonstrate how to use the CoreOS built in tools etcd and flannel to setuup a distributed VPN with tinc. Flannel will be used to savely allocate IP subnets but will not do the networking. Instead etcd and some scripting will be used to setup a distributed vpn via tinc. All this will be provisioned via the cloud config file and systemd units. Lennart Poettering works at Red Hat in the Server Experience Group. He's one of the creators of PulseAudio, Avahi and systemd. Join Sean Michael Kerner, senior editor at InternetNews and Matthew Garrett, Principal Security Software Engineer at CoreOS for a fireside chat about container security. Sean will bring the most asked questions regarding security and containers and dive into specifics. Don't miss this closing night party brought to you by Packet and Wercker. Close out CoreOS Fest with drinks, bites and music.